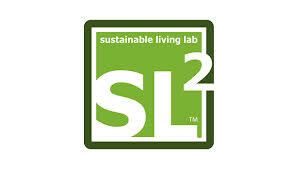 Sustainable Living Lab (SL2) is the Singapore partner for the mYouth project. SL2 is a social enterprise that works at the intersection of social innovation, sustainability, and technology. SL2 helps communities and organizations run purposeful hardware hackathons, helps makers skill-up through technology programs and develops sound amplifiers, accessories, toys, and furniture from sustainable or waste materials such as bamboo, fire hoses, cardboard, and pallet wood. SL2 also operates Singapore’s first and leading Makerspace and has nurtured a growing community of inventors, makers, and craftsmen from all walks of life, who make a kinder and gentler world. Equipped with analog and digital fabrication tools such as a 3D Printer, Laser Cutter, and a CNC Machine, the Lab serves as the focal point for its community of makers. SL2 have conducted several hackathons in Singapore since 2011 for organizations such as Amazon Web Services, Nanyang Technological University, National University of Singapore, Institution of Engineers and many others. In these hackathons, SL2 also conducts master-classes for participants on mobile app development (Android) and Arduino programming. The enterprise has had 11,000 program participants since October 2011. SL2 is also a Clean Tech Partner of Autodesk Inc and the Maker Camp affiliate of Make Magazine & Google. They currently have a full-time staff team of 4 people and over 30 volunteers. Sustainable Living Lab (SL2) besides sending 2 youth leaders to be trained at Macedonia, they will be conducting a 3-day app development hackathon for youth after the training.They are seeking government partners in Singapore such as the Infocomm Development Authority (IDA) and the Design Singapore Council. On behalf SL2, will participate Colin Noah Peter, trained mechanical engineer from the National University of Singapore, involved in systems integration project for a micro satellite company and a major CNC machine company prior to joining SL2, experienced as a trainer on the MIT App Inventor platform, the person who is the lead for all product development bootcamps in SL2; Veerappan Swaminathan, Co-Founder of the Sustainable Living Lab, trained as a mechanical engineer from the National University of Singapore, holds 5 utility patents in biomedical devices and 1 design patent ; and Farah Hidayati Sanwari, trained industrial designer and graduate from the National University of Singapore, also in-charge of the local Maker Camp in Singapore.